Forum Description: We are here to provide you everything from help and support to codes, themes and graphics for your Forumotion forum. Do you have any questions about your forum? Need help? Just ask us and we will give you the answer! Before you start posting on FMCodes, please read the Important Points section of the forum! 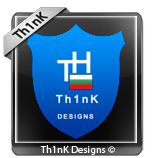 Would you like to insert your banner in your your footer headers or widgets. Forum Description: Greek forum, Computer and Internet, News, Discussions and More.